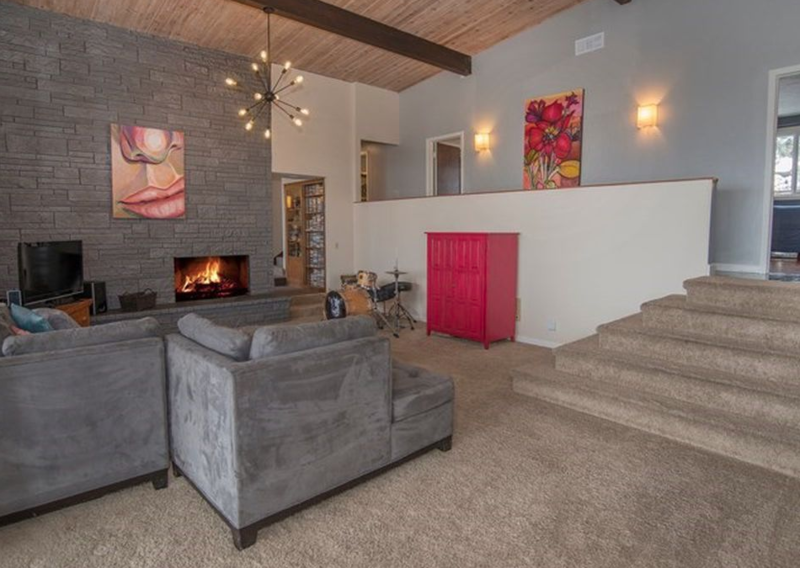 Real talk: the lighting in our house was pretty unfortunate when we purchased it. In part because the home had so many previous owners (and tenants), there were very few hard-wired overhead lights. Most rooms had lamps, or corded lights hung to eye-bolts with cords draped down the wall. I liked the light itself (who doesn’t love a sputnik-inspired chandelier? ), but it felt really small for the space. 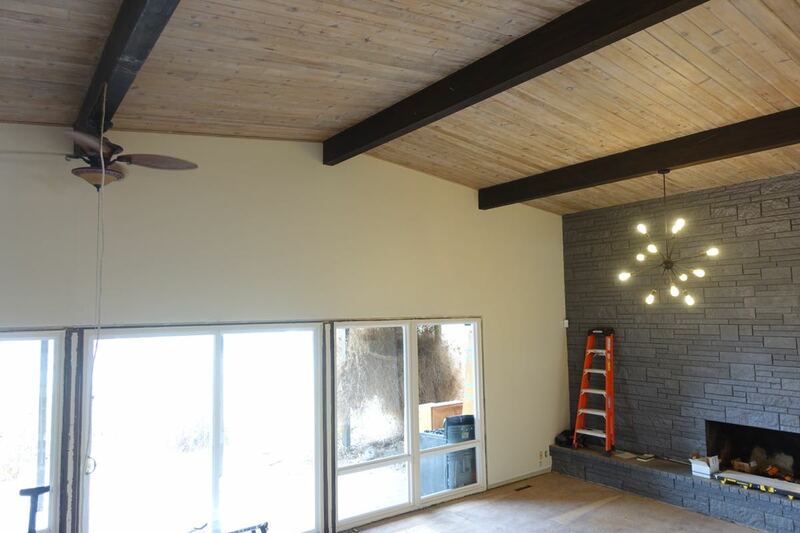 The smallness of the light fixture was exacerbated once we took out the non-structural wall blocking the dining room. Now we had a random ceiling fan and a too-small light. We decided to remove the ceiling fan (with the faux-wall gone air flow wouldn’t be a problem), and ran new electrical conduit to the center beam in the picture above. That’s also the central point of the house, so it made perfect sense to emphasize the height of the room with a truly awesome chandelier. 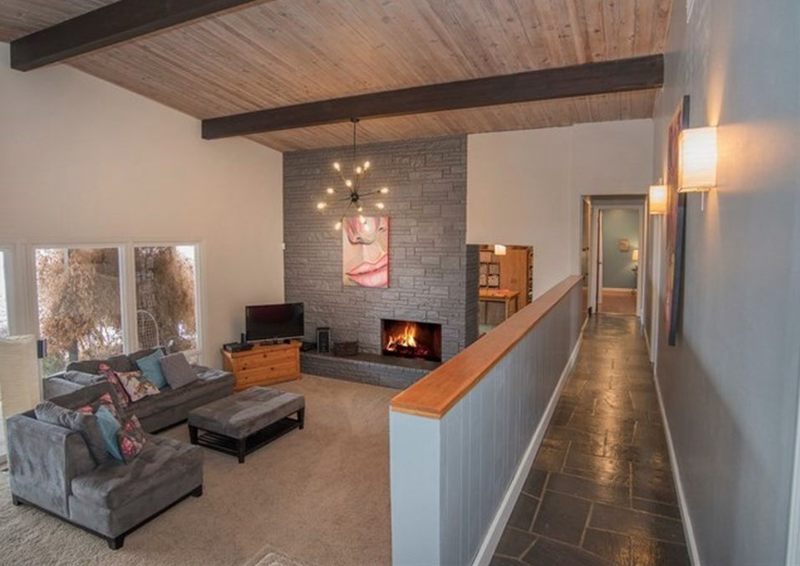 But where to find something that would fit the modernized mid-century aesthetic we were going for, and be large enough for the space, without spending thousands of dollars? 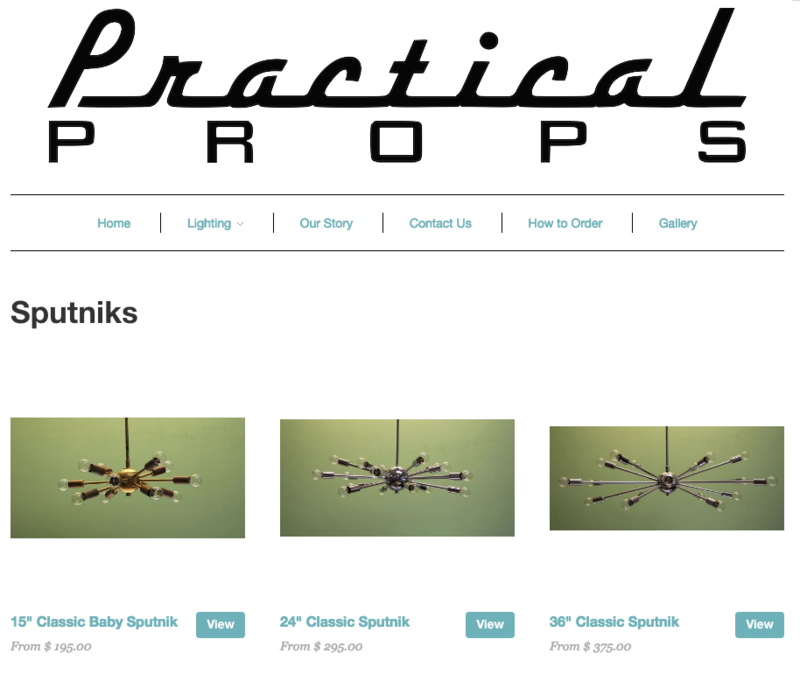 Fortunately, Los Angeles-based Practical Props makes an assortment of vintage and retro light fixtures. They have a great selection in-stock (both in-store and online), and are happy to work on custom designs. We wanted a Classic Sputnik, but the largest diameter they stock is 57″. For our space we needed something with at least a 70″ diameter, which Practical Props was happy to accommodate. They even honored a 20% discount they were having on sputniks, which I absolutely would not have expected, and truly appreciated! Our total cost ended up being $800, plus $50 in shipping charges. 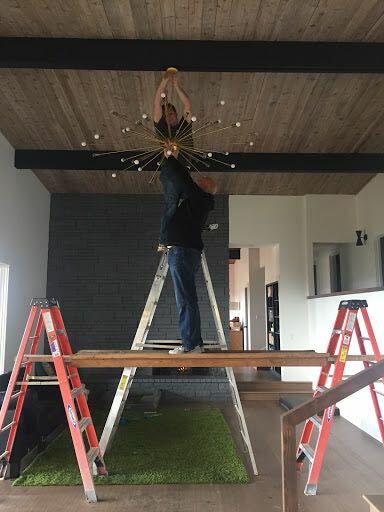 Due to the size, the sputnik light arrived “partially” assembled, which basically meant that the wiring was done, but nothing was connected. We ended up having to undo and re-do a bunch of the wiring, as the central ball was too crammed full of wires to be able to get fingers in to tighten screws, so it took about two hours to put together. 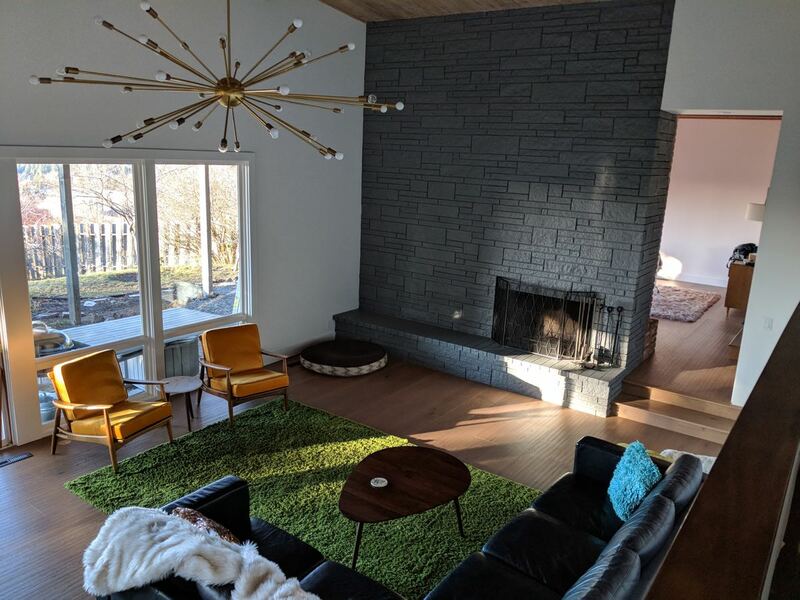 We chose a mixture of frosted and clear glass to update the look from classic mid-century to something a bit more modern, and I love the look. 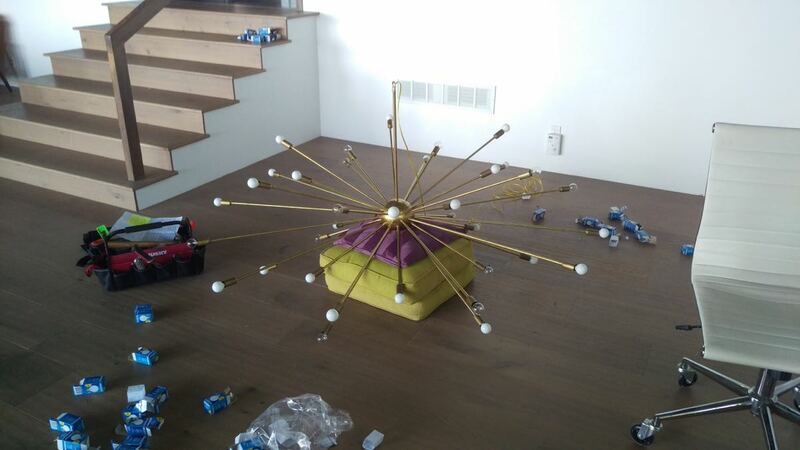 Hanging a 70″ sputnik from a 15′ ceiling was surprisingly easy (though took some strength and patience). We set up the DIY scaffolding we’d used for painting the beams (basically two 6′ ladders and a very solid platform), then set the 12′ ladder right behind it. Installing the light was a bit more complicated, as our brother-in-law had to stand and hold the light above his head while Nick did the wiring. Strong tall friends recommended for this step! The light looks great, and I’m so pleased with the scale in the space. And the vibe it brings to the living room is just perfect!